By adding our Red Rope and Stanchions to your order you have a perfect complement for your next corporate, or social, event. 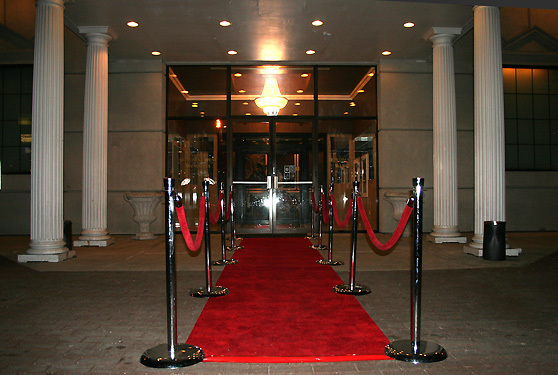 These stanchions along with the velvet ropes are designed to provide a professional look to your personal red carpet event or any operation like museums, chic restaurants, and art galleries! Our stanchions have a chrome-polished finish and can be rented along with our 5ft. red velvet ropes. You may also wish to consider a beautiful red carpet runner to go along with this ensemble.